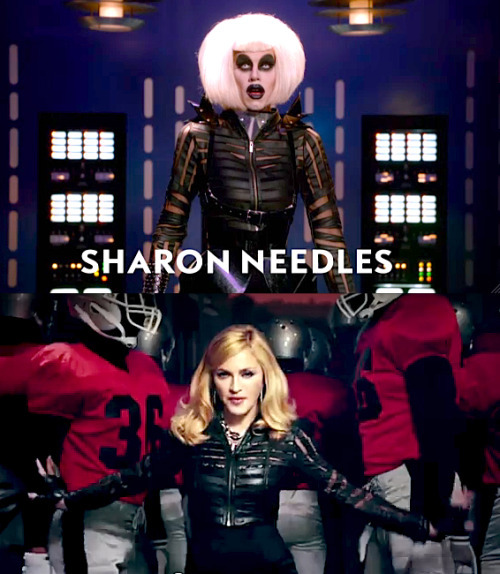 dbriefed: Who wore it best, Sharon Needles or Madonna? Who wore it best, Sharon Needles or Madonna? Sharon Needles really gives the alleged blouse way more oomph. Thats what you get for shopping at Forever 21 your madgesty.